To date, the history of Provo's Brigham Young school bells includes seven singular bells. The original Y Bell traveled across the plains with the early pioneers of the Church of Jesus Christ of Latter-day Saints. It was used to call meetings among the saints and to announce any deaths in the community. 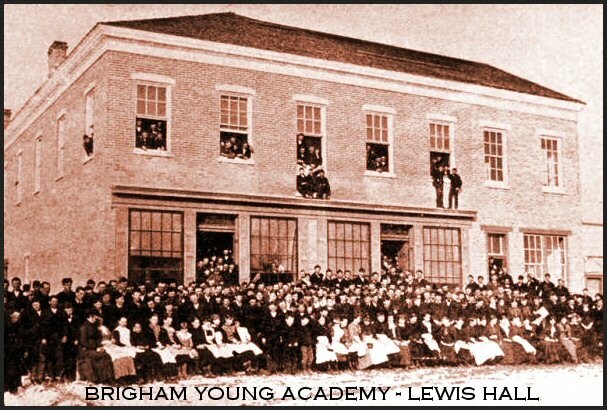 Donated to the Brigham Young Academy in 1875 and installed before the first class in January 1876, it was used to begin and dismiss classes in Lewis Hall, until that building was destroyed in an 1884 fire. 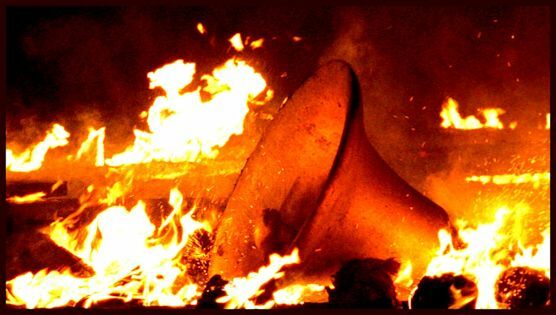 Witnesses heard the large bell fall clanging into the lower flames, and feared that it rang out the death knell of the struggling Academy. The remains of the bell were not recovered. Professor Karl G. Maeser, principal, and Abraham O. Smoot, chair of the board of trustees, rallied to save the school. 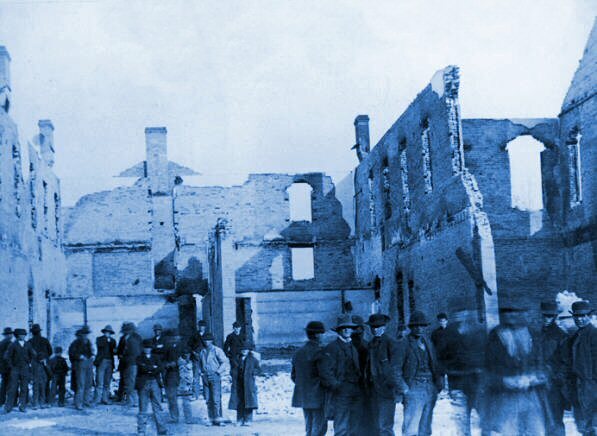 "Yes, fire has destroyed the house, but the Academy lives on," said Maeser. Only one day of classes was lost he relocated classes to nearby buildings, until marginally better quarters were found in the ZCMI warehouse. A small railroad engine bell rang out hourly class changes in the old ZCMI warehouse until 1888, when James E. Talmage installed battery-operated electric class bells. The current location of this railroad engine bell is unknown. When a new Brigham Young Academy building was built and finally dedicated in 1892, its distinctive landmark belltower stood curiously empty, probably due to lack of funds. Class changes were announced by clanging on a steel triangle in the main hallway. BYA, primarily a high school but with a few college students, became Brigham Young High School and Brigham Young University in 1903, and the student bodies of the elementary, middle school, high school and university continued to grow. In the eyes of many students and faculty, growth further increased the need for a bell in the Lower Campus belltower. 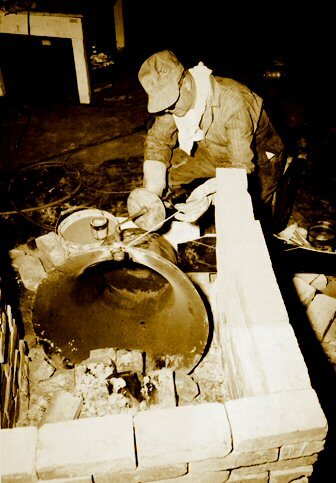 In 1912, a 36-inch diameter cast-iron bell was purchased from the American Bell Foundry in Northville, Michigan. This bell was installed inside the belltower, not an easy task. It turned out to be a disappointment since it could barely be heard outside of the Education Building where it was housed. 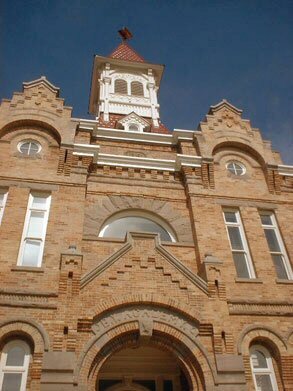 It was replaced seven years later in 1919 with a nickel bell donated by the presidency of the LDS Utah Stake in Provo. This bell was taken from the old Provo Meeting House when it was razed in 1919. 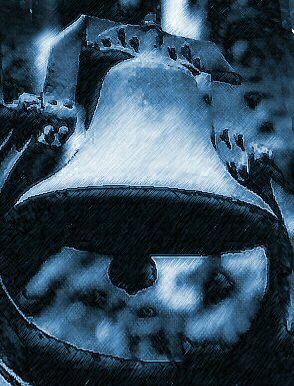 The nickel bell, with its clear and now familiar sound of "C", had been created by the McShane Bell Foundry in 1887. 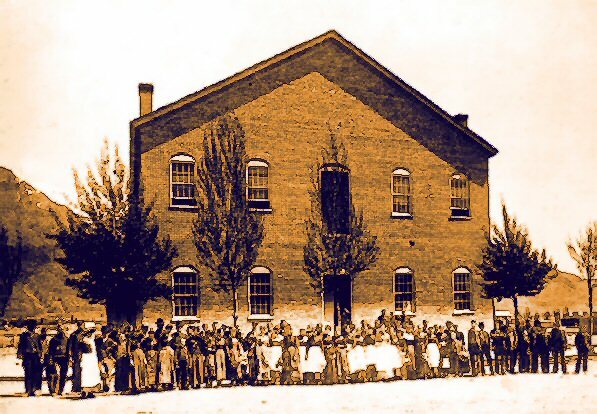 Its first home, sometimes called the Old Tabernacle, was located behind the current Provo Tabernacle off University Avenue. The bell that sounded muffled inside the belltower was removed, and the McShane nickel bell was installed in the tower. The McShane bell could now be heard throughout the city. When first installed, the bell was rung by pulling on a long rope which hung from the belltower down through the rooms to the second (main) floor in the hallway. Students, including Karl A. Miller, were assigned to ring the bell for class changes and to celebrate athletic victories. The rope was later replaced with an electrical device designed by J. W. Sauls. 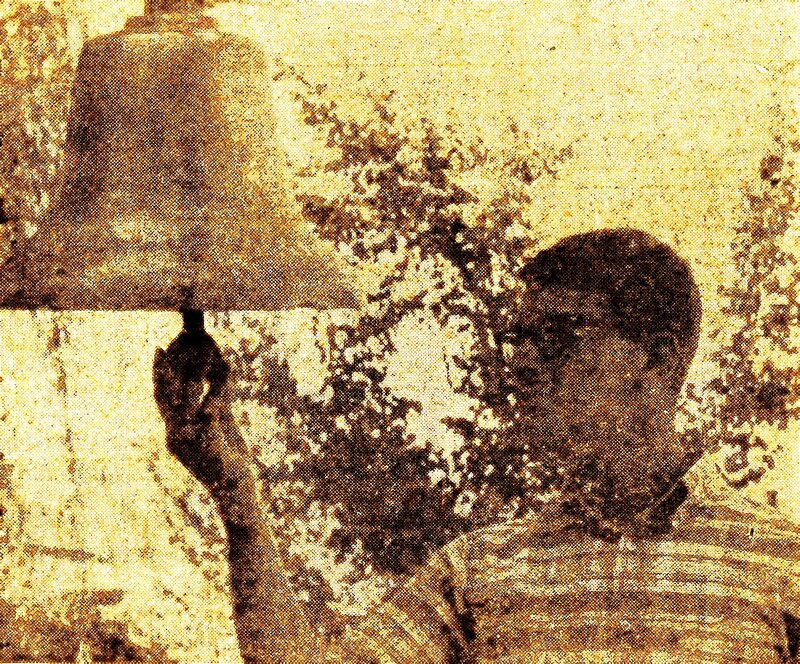 Thus began the tradition of a Y Victory Bell that could be heard both on and off campus. 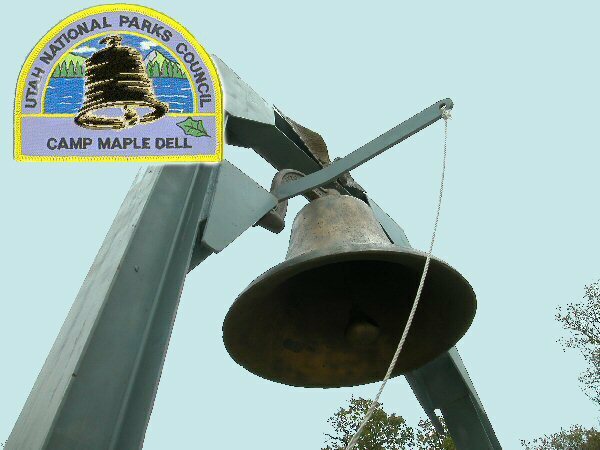 The American Bell Foundry cast-iron bell was given to the Boy Scouts of America for use outdoors at Camp Maple Dell, where it can still be heard clearly over the whole camp today. Camp Maple Dell is located in Payson Canyon. 3. BY Academy bell at Camp Maple Dell. 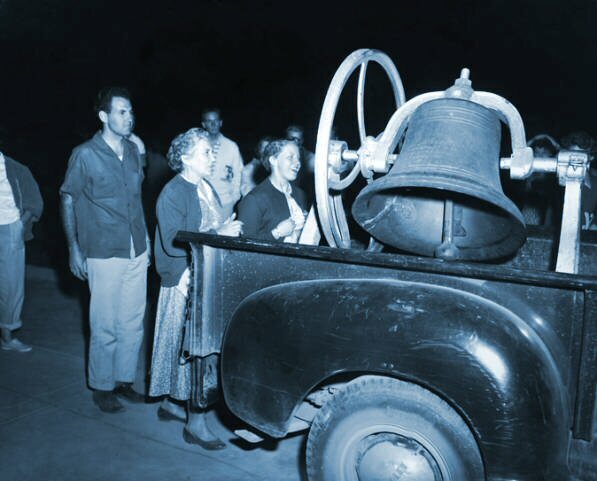 Rung after each BYU victory, the McShane nickel bell suddenly fell silent in 1949. Following a BYU basketball win over in-state rival University of Utah, a group of overly enthusiastic BYU students climbed the stairs to the belltower. There they vigorously pounded on the bell with heavy hammers. The unusual stress caused the bell to crack up one side, resulting in loss of tone. 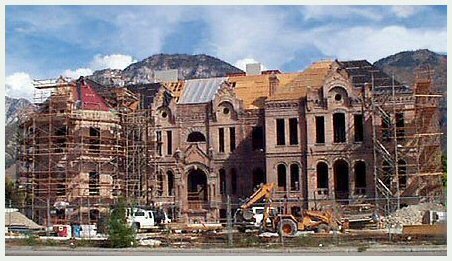 There is no doubt, however, that some of the neighbors in Provo were relieved. 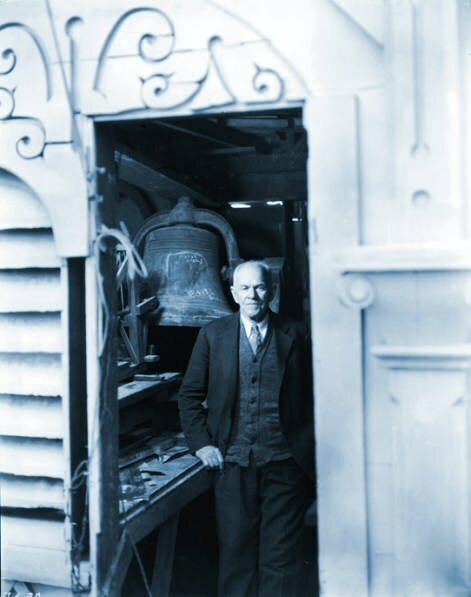 The cracked bell was removed from the belltower and taken to a BYU Physical Plant shop in 1949, under the direction of Superintendent Karl A. Miller. Miller obtained the services of two experts: John Champaux, a traveling instructor from the Oxyweld Company; and Frank Hemingway, a master welder from the Union Pacific Railroad shops. They placed the entire bell in an open brick oven and heated it to a high temperature while a bronze welding patch was applied. It was then allowed to cool slowly. The scar was visible, but the "C" tone was saved. 4. 1949 repair leaves scar on Old Y Bell. 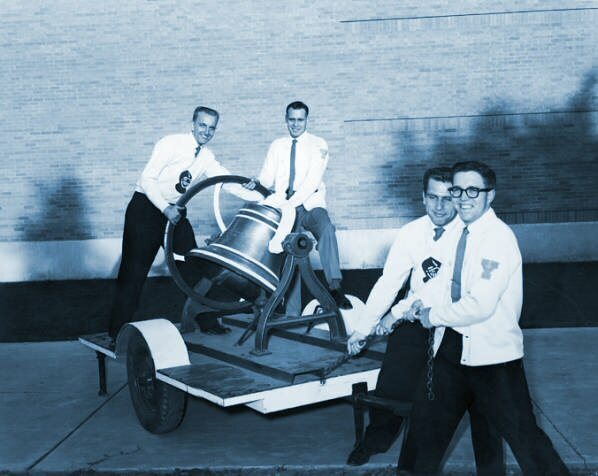 Instead of returning the bell to the Education Building, however, BYU leaders decided to mount it on a trailer so it could be moved around town, and could accompany BYU teams to various "away" games. When not in use, it was stored in a boiler room in the BYU heating plant. During the 1950s it was traditional for BYU's graduating seniors to take a last nostalgic trek around campus the day before Commencement. At the end of the Senior Trek, each student was given the opportunity to ring the Old Y Bell to announce his or her personal victory. The mobility of the bell, however, proved to be its downfall. 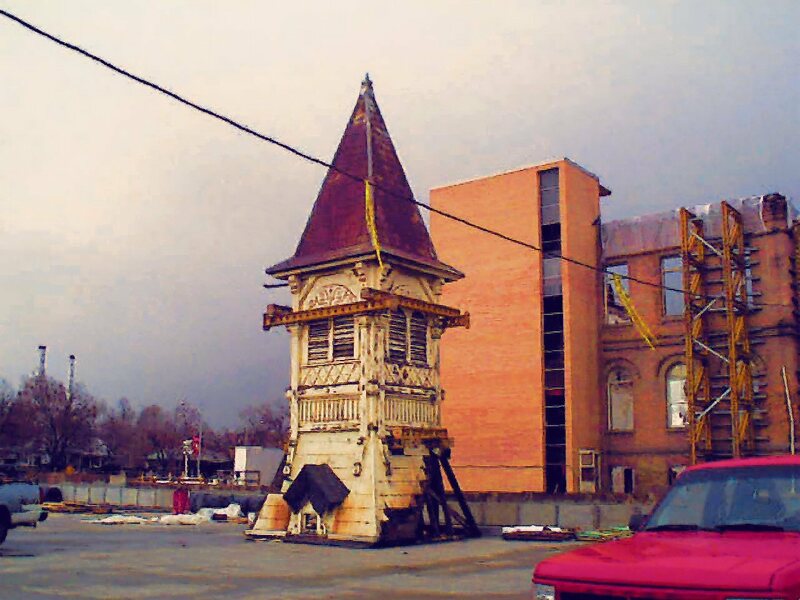 The bell and its trailer were stolen in the spring of 1958, and not found until six months later, abandoned in a field west of Springville, Utah. 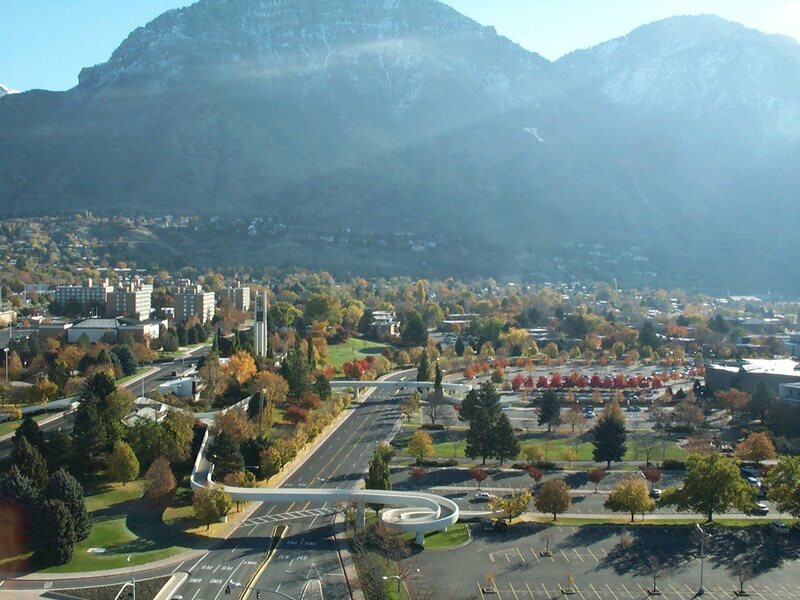 This notorious theft prompted the student body to take action, resulting in the construction of a tall belltower on BYU's Upper Campus overlooking the George Albert Smith Fieldhouse. Dedicated during the Homecoming assembly in 1959, the belltower served BYU well until 1973. In 1973 the bell, while ringing in the dedication of the new Marriott Center, suddenly tumbled down. Its supporting yoke had broken and the bell was extensively shattered in the fall. This time a repair job appeared impossible. However, the bell was hauled to a Physical Plant shop where another welding job was attempted. 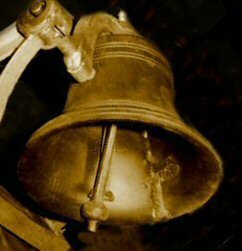 The repair was successful, and miraculously the bell retained its previous tone despite a few new scars. The remarkable electric welding job was accomplished by Ray Mortenson, a BYU welder; Elmo Croft, a machinist; Evan Miner, a student assistant; and J. Petty Jones, foreman. After another carefully controlled cooling period, the bell was again mounted into its tower. In 1978, the repaired nickel and bronze bell was moved to its current home on the southwest corner of the Marriott Center. The open arch tower was designed by BYU landscape architect Boyd Dawler and is made of the same cast stone as the exterior pillars of the Marriott Center. The large wheel which had always been attached to the bell was removed. As BYU victories became more and more commonplace in recent decades, the ringing of the old Y Bell after each win caused it to be referred to as the "Victory Bell". But the belltower in the Education Building on the Lower Campus sat almost empty from 1954 until October 2000. Thanks to a grant from the Brigham Young Academy Foundation, led by BYU professor L. Douglas Smoot, a new bronze bell (which is the same size and weight of the original McShane nickel bell and which also has the same resounding tone of "C") was created and installed in the restored belltower on Academy Square. 5. Beautiful new 2000 BYA Foundation bell. Professor Don Cook, a member of BYU's music faculty, was instrumental in the entire process of bell selection. Shipped to Provo in mid-September of 2000, it was installed within the next month. Bell tower removed and not yet replaced. On Wednesday, October 18, 2000, the entire belltower, with the new bell installed inside, was raised into place on top of the historic Education Building. Passersby on University Avenue pulled their cars over to watch the historic event. 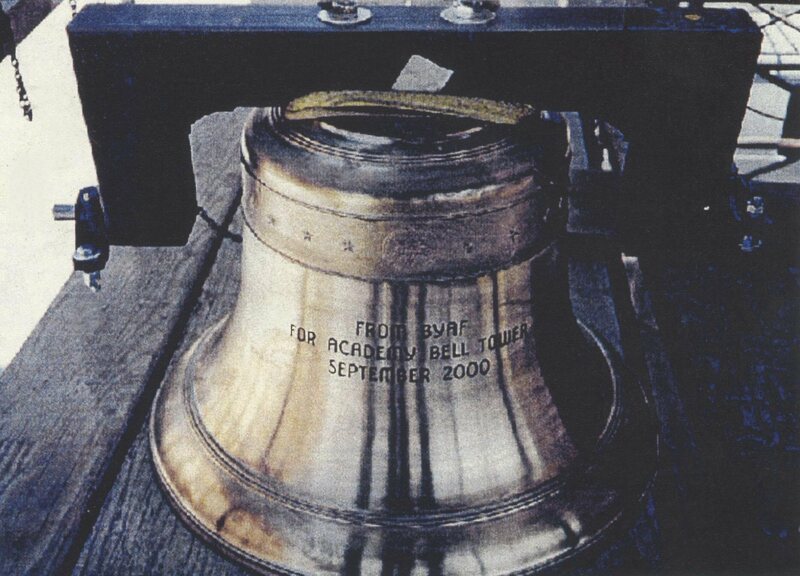 On Thursday, October 19, 2000, a news conference and celebration was held at Academy Square, and the new bell was officially rung for the first time by Dr. Doug Smoot. "It was exciting ringing the bell, because it is symbolic of the magnificent progress that has been made during this renovation project," Smoot said. "I did not dare ask BYU for the original bell," he added. The bell can be rung manually, as Dr. Smoot did, or programmed to ring hourly or on special occasions. A later cost of $4,324 was incurred for the programmable feature, which cost was shared by Provo City and BYAF. 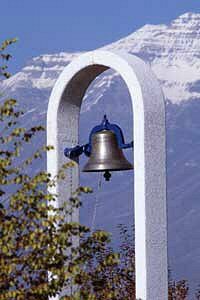 Provo City rings the bell twelve times at 12 noon each day, as well as at other special times and city celebrations. 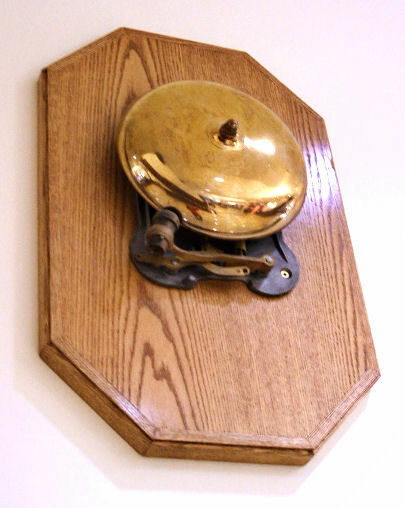 A little-known sixth bell, a brass, wall-mounted bell, was retrieved from the BYU Training Building (elementary school) prior to its demolition. It had hung at the top of the stairs on the second floor to announce the change of classes. This bell was polished under the direction of Merril Bingham, Director of Public Works for the City of Provo, and now hangs in the entry lobby on the second floor of the historic Education Building. We are grateful to the folks at the Provo City Library at Academy Square for providing a photograph of this bell. 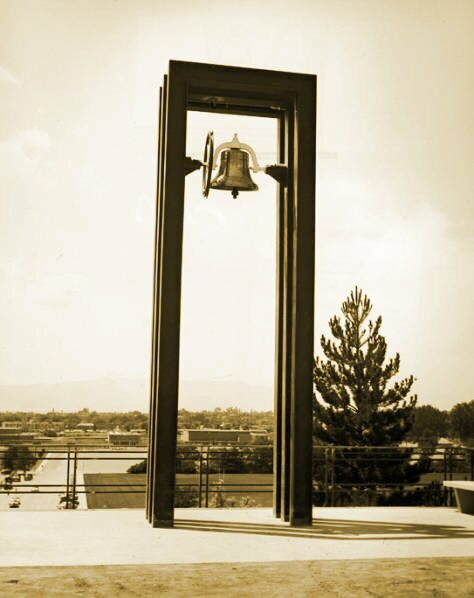 The seventh Y bell must be mentioned as a footnote, because in an April 1966 decision, the BYU Campus Planning Committee decided not to allow it to be installed in the BY High belltower. But that is another story. 7. Sherm Smith & the Forbidden Bell, 1966. 52 Bells - One for every week. 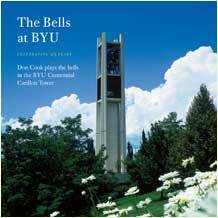 No story touching on BYU bells would be complete without mentioning the Spencer W. Kimball Carillon and Bell Tower, built to mark the beginning of the Centennial of Brigham Young Academy / Brigham Young High School / Brigham Young University, in 1975 -- seven years after the doors to Brigham Young High School were closed. The tower stands in the middle of student housing on the Upper Campus, where it awakens students with a cheery tune played every hour starting at 6 a.m. The structure is 97-feet tall and has 52 cast bronze bells. The smallest bell weighs 21 pounds and the largest 4,730 pounds. The keyboard consists of broomstick-like manual keys and short pedal keys that are played both hands and feet. Each bell plays until the tone fades away naturally, allowing new tones and fading tones to resonate with one another. And the residents in this neighborhood seldom complain.